What are the Best Raspberries to Grow? So many Raspberry Varieties to choose from ... which type of raspberry plants should you choose to grow? One of the key elements to successful gardening with raspberries is a careful selection of the plant variety. Are you interested in summer-bearing raspberries, or ever-bearing raspberries? 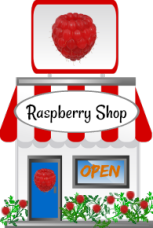 Do you prefer a red raspberry to another colour? Once you have made these decisions, you are ready to choose a specific variety. Some possible variety choices are included below, and, by visiting a garden center, you will probably have additional varieties to choose from. When choosing a specific variety you must choose a cultivar suitable for your location. That is, if you live in a colder region, choose a winter hardy variety. 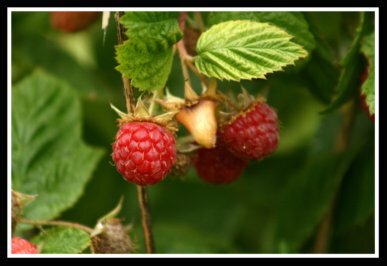 When purchasing raspberry plants, most plants have information included to advise you what the hardiness zone is for that particular variety. Be sure you choose a plant variety according to your location in the hardiness zone. When choosing a specific type of raspberry plant, you must also consider the type of soil you will be growing the plants in. For example, if your soil is heavy, and does not drain well, then you should not grow a raspberry plant variety that is susceptible to root diseases. Raspberry plants can be divided into categories based on the season in which they produce fruit, or based on their colour. Raspberry varieties which produce fruit only in the summer are called "summer-bearing raspberries", and raspberries which produce fruit in the summer as well as in the fall are called "ever-bearing raspberries". Raspberry plants can also be divided into categories by colour. Varieties may produce fruit that is red, yellow/gold, purple or black. 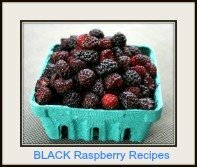 Black and purple raspberries are generally known under the name of black raspberry, just as red and yellow raspberries are usually known as red raspberries. Black and purple raspberries are closely related to the reds, although they are larger and more productive and greatly tolerant of heat. They are however, less resistant to cold climates. Raspberry plants with black berries, which are also called blackcaps, ripen earlier than those with purple berries, but purple berries have bigger fruit and more distinctive flavour. The berries are not as juicy as red raspberries and are used primarily to make appetizing raspberry jams and jellies. Both the black and the purple raspberries grow in zones 4 to 8. What are some of the more common Raspberry Plant Varieties? 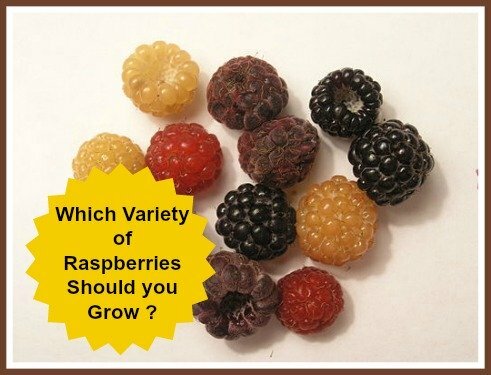 Here follows the names of several different varieties of raspberries and some noteworthy distinctions of each, divided into sections: Standard Varieties, Every-Bearing Varieties, Black Varieties and Purple Raspberry Varieties. These are not exhaustive listings, but a guide to the more common varieties of these delectable tender fruits! Amber - Amber-yellow berries superior in quality to the other yellows and comparable to most reds (which are generally better than the yellows). Fruits rather late. Not hardy in zone 3. Canby - Canes are nearly thorn-less. Large, sweet red berries. Chief - Profuse small red berries, but of only fair quality. Early Red - Red berries of better-than-average flavour. Hardy and very early variety. Latham - Probably the most popular standard red raspberry. Very large, mildly sweet, firm fruit of moderate quality. Hardy and tolerant of many virus diseases. Sumner - Dependable variety, well adapted to heavier soils. Large, red berries ripening over a long period. Taylor - Excellent large, conical, light red berries in profusion. Delicious flavour. Vigorous, hardy plants. Willamette - Enormous, conical, dark red berries in abundance. Fall Red - Very hardy, with large, bright red berries of good flavour and a nice aroma. Ripens very early. Heritage - Fair flavour. Berries are firm, small to medium in size, and light red. Requires a warm growing situation. Indian Summer - Soft, crumbly red berries, but good flavour. Brilliant red fruit. Abundant producer. September - Fair flavour. 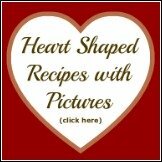 Berries are crumbly, small to medium in size and very dark red. Only moderately vigorous grower. Fallgold - Yellow autumn-fruiting raspberry. Sweet, mild flavour. Berries are medium to large in size and conical. Canes are vigorous are prolific growers. Allen - Large fruits of superior dessert quality. Very productive, hardy and vigorous. Early fruit. Black Knight - Every-bearing variety cropping in summer and fall, but primarily in the summer. Large, sweet berries. Bristol - Very popular variety with high-quality, firm, and glossy. Fruits in mid-season. Extremely productive and vigorous variety. Dundee - Dull black fruits of good quality. Productive, hardy, vigorous plants are somewhat tolerant of poorly drained soils than other plant varieties. Canes easily damaged in windy areas. Huron - Big, glossy black, high quality berries. Fruits a bit later than most varieties. Munger - Best variety for Canada Northwest, where raspberries are very widely grown. Clyde - Extra large, firm, glossy dark purple berries, ripening in mid-season. Very vigorous, hardy, disease resistant plants. Marion - Very large, dull purple berries. Very productive. Plants easily injured by severe winter weather. Sodus - Most popular purple variety. Large, tart berries ripening later than most reds and purples. Vigorous plants suitable to all hardiness zones. Here below are different varieties of raspberry plants that are available for online purchase at *Amazon. 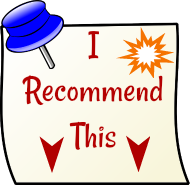 Click on the images for more detailed product information and for customer reviews. What is MY Favourite Raspberry Variety? My favourite is the Red Raspberry Variety of "BOYNE". This variety produces delicious, juicy dark red berries of good quality. It is a vigorous growing plant, very hardy and is recommended for areas with a colder climate. The Boyne Variety we grow produces it's fruit mid July, and is not an Ever bearing variety. Like strawberry plants, almost all raspberry plant varieties are quick and easy fruits to crop. They bear a reasonable amount in the second year and full cropping thereafter. A good average yield is 1 1/2 to 2 lbs. per foot run of row. You can also grow more than one variety of raspberries to lengthen the harvest season. Doing this will provide you with mouth-watering fresh raspberries for most of the growing season! If you already grow raspberries, continue to enjoy gardening! If you do not grow raspberries ... you must try it! ... they are really simple to grow, and the reward is DELICIOUS! For everything you need to know about growing raspberry plants, here follow links (or use the navigation bars) to pages which will be helpful in your berry growing endeavours!